Often just by taking a moment, one can usually find a bit of magic somewhere worth acknowledging. This weekend is a special time to share with friends, family and loved ones, celebrating the good that exits in the world as we pass around the turkey and the pie, simply saying “thank you”. 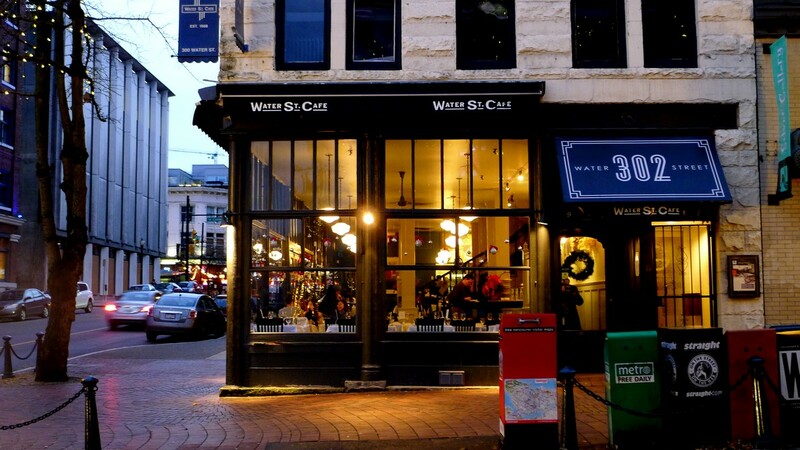 A number of Gastown restaurants have thoughtfully prepared their tables with all sorts of holiday fare, creating special menus, plenty of homemade pie, and the most delicious of trimmings that will indeed have you coming back for more. As traditional as stuffing and as timely as the Steamclock, The Irish Heather will once again be setting the holiday table (and it’s quite a long one) for a hearty Thanksgiving feast. Join the party to give thanks and celebrate (now in its 10th year) The Irish Heather’s tradition of feeding hundreds of guests on Thanksgiving weekend. 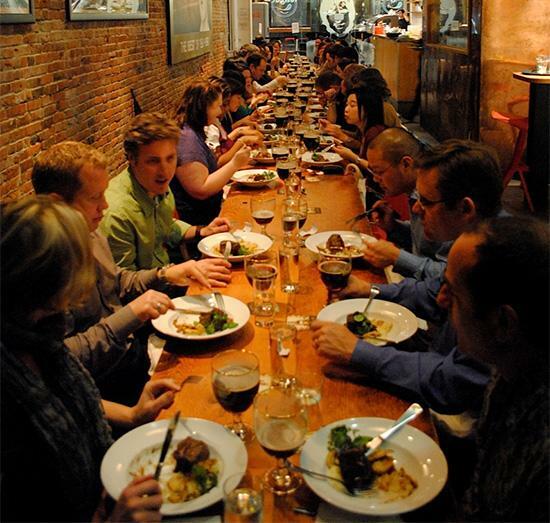 The Long Table Thanksgiving event starts this Sunday October 9th at 7pm with a delicious Roast Turkey Dinner with all the trimmings, paired with a pint of local beer, or gluten free cider or a glass of wine. Vegan, Vegetarian and GF needs accommodated. This combo is normally priced at $30+ but in keeping with The Heathers’ tradition of a decent meal and beer, at a decent price, served to a hungry crowd, the price will be $21 inc of tax and grat. That’s definitely something to be thankful for! Grab some friends or come and meet new ones and book now as seats are limited. The Water Street Café can be your home away from home this Sunday and Monday with a special 3 – Course Thanksgiving Dinner, prepared by Chef Alan. The $35 dinner comes complete with selections from 2 appetizers, 3 entrees, 2 desserts. The special seasonal menu includes belly warming dishes like a maple butternut squash bisque, oven roasted turkey with all the trimmings, and Grandma’s Pumpkin Pie. 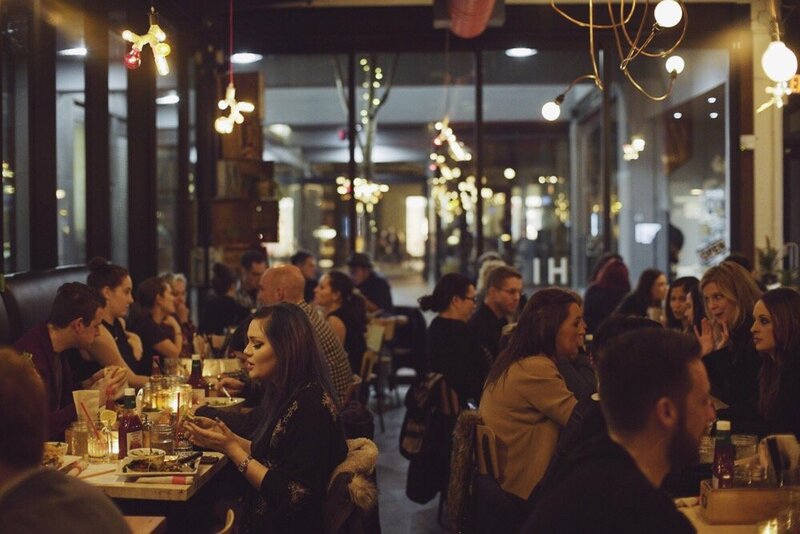 Space fills up quickly so make your reservation here. 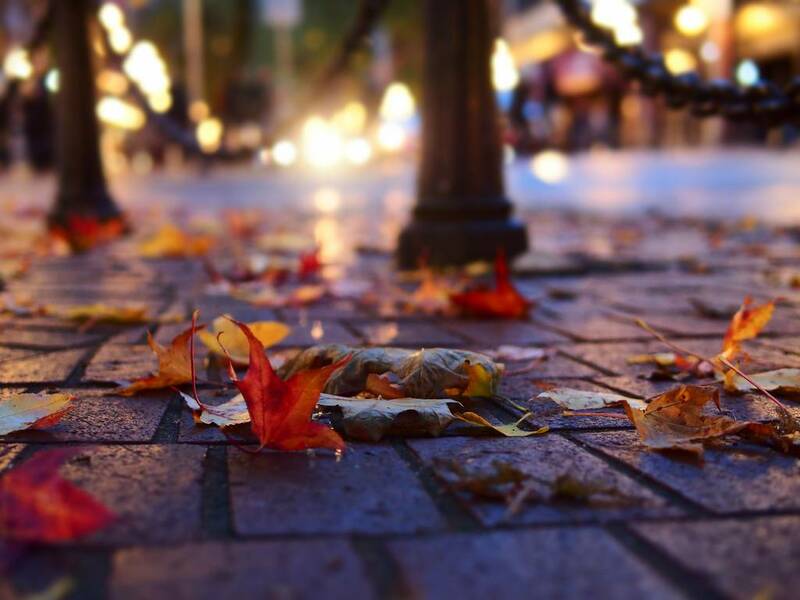 For those that wish to enjoy an entirely meatless Thanksgiving dinner, Meet in Gastown is planning a vegetarian feast throughout the weekend and on the holiday Monday. Expect a full family style, totally vegetarian dinner with lots of awesome veggie sides and trimmings. The Charles Bar (for after the dinner). 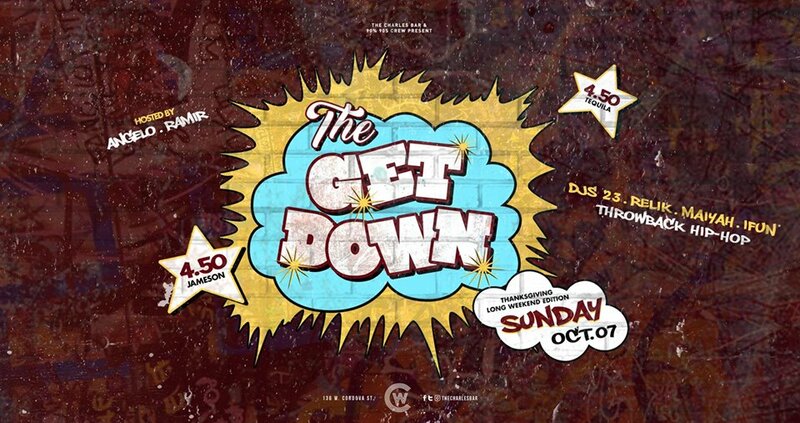 If the tryptophan and your third helping of pumpkin pie hasn’t yet put you out of the game, get down at The Get Down Long Weekend Party: Thanksgiving Edition over at The Charles Bar. The groovy-like-gravy Thanksgiving shindig is this Sunday October 7th complete with THROWBACK HIP-HOP JAMS HOSTED BY 90percent90s and featuring local DJ’s Relik, Maiyah, and iFun. Get on the guest list here.